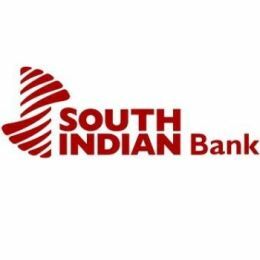 One of the earliest banks in South India, “South Indian Bank” came into being during the Swadeshi movement. The establishment of the bank was the fulfillment of the dreams of a group of enterprising men who joined together at Thrissur, a major town (now known as the Cultural Capital of Kerala), in the erstwhile State of Cochin to provide for the people a safe, efficient and service oriented repository of savings of the community on one hand and to free the business community from the clutches of greedy money lenders on the other by providing need based credit at reasonable rates of interest. Translating the vision of the founding fathers as its corporate mission, the bank has during its long sojourn been able to project itself as a vibrant, fast growing, service oriented and trend setting financial intermediary. 1. Candidate should possess minimum a graduation from a recognised university. 2. Should have at least 55% marks in Science Stream or 50 % marks in Arts/ Other streams. 3. Should have 60% marks in X and XII. 4. Candidates proficient in local language only are eligible to apply. 5. Age should be Not more than 26 years and not less than 20 years as on 31 December 2013.